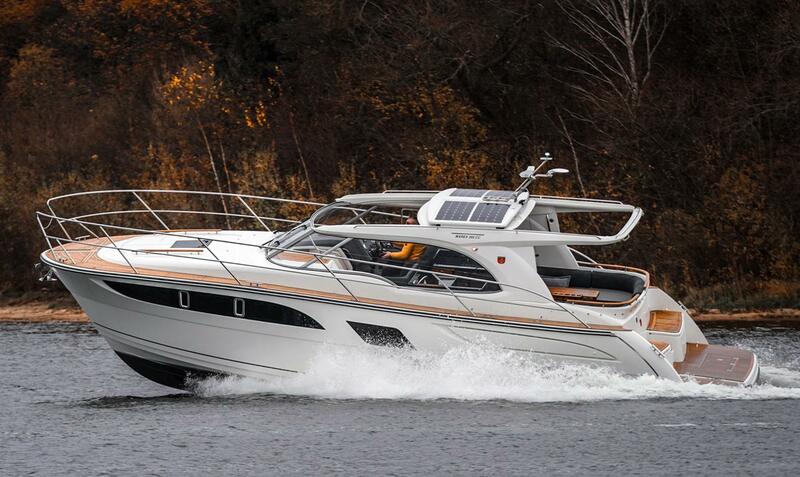 Here’s the first photos of the brand new Marex 360 Cabriolet Cruiser afloat for the first time. The new 360 features the largest cockpit of any boat under 40ft and here it is undergoing initial sea-trials ahead of it’s World Premiere at Dusseldorf boat show in January. Click here for full details and contact us for special introductory pricing.